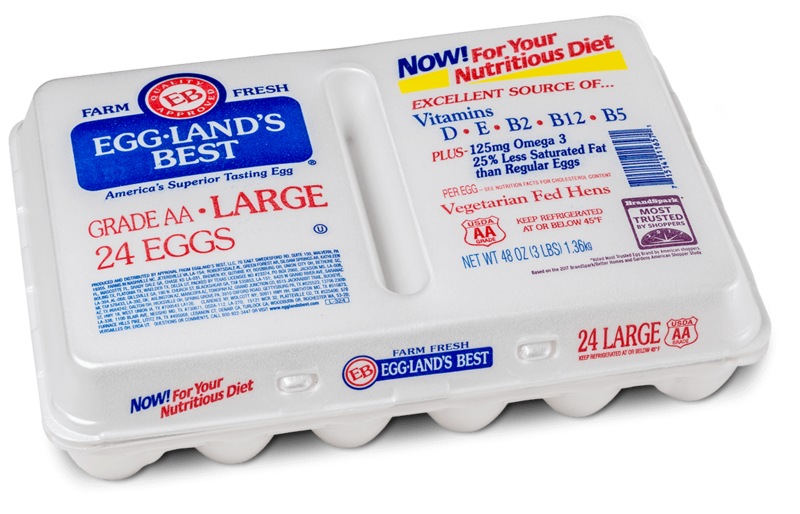 Our family of brands includes our signature-label, Morning Fresh Premium Eggs, Rocky Mountain Eggs, and the nationally recognized and best selling, Eggland’s Best and Land O’ Lakes eggs. 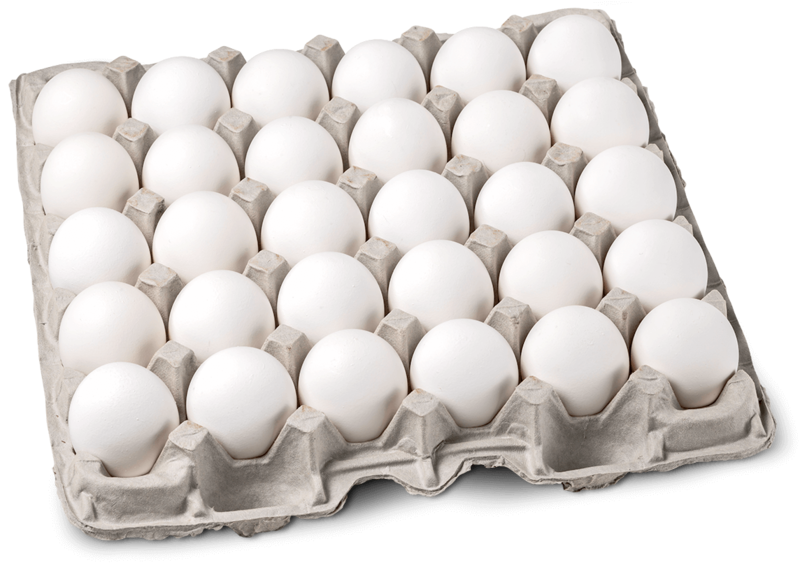 Additionally, we produce eggs under private label programs for some of your favorite Colorado and regional grocers as well as area restaurants and hotels. These eggs are produced in our conventional houses and the hens receive a premium all–vegetarian diet. Offered in Medium, Large, X-Large, white and brown, 12 and 18ct and more. Available at: Colorado independent grocers and convenience stores. 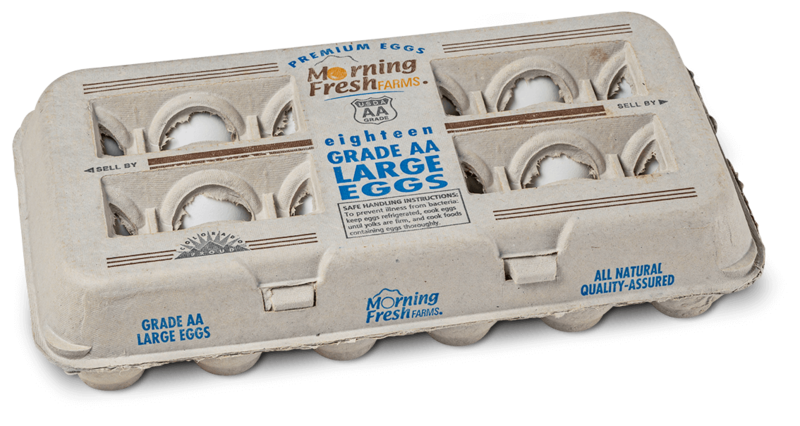 Part of our agricultural cooperative’s product line, these eggs are produced in our conventional barns and the hens fed an all-vegetarian diet. Offered in a variety of sizes, colors and packs. Available at: a variety of grocers in the Rocky Mountain and Intermountain regions. 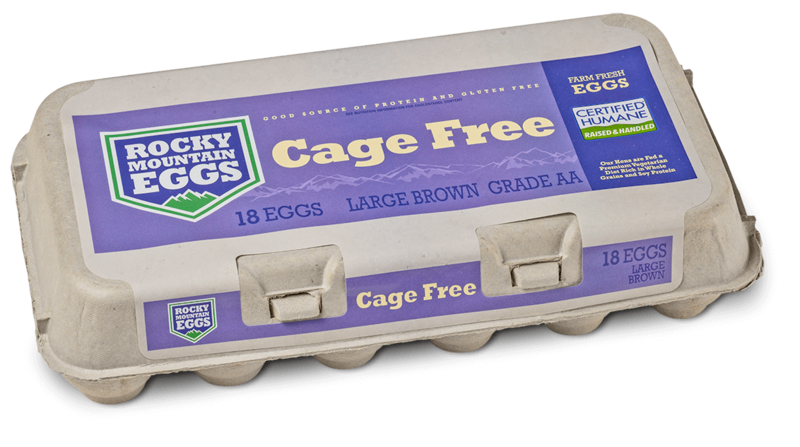 An extension of our cooperative’s offerings, these cage free eggs are laid in our spacious barns where the hens are free to roam, perch and nest and receive a premium all-vegetarian diet. Offered in both white and brown, 12 and 18ct. Available at: Colorado Sprouts Farmer’s Markets, Safeway stores and independent grocery stores. FARMHOUSE brown eggs come from cage free hens fed a wholesome diet of grains and fresh drinking water. FARMHOUSE Cage Free hens can perch, scratch and nest wherever they choose, in a protected environment that is free of predators. The result is a great-tasting brown egg with a plump yolk, firm white and thick shell. 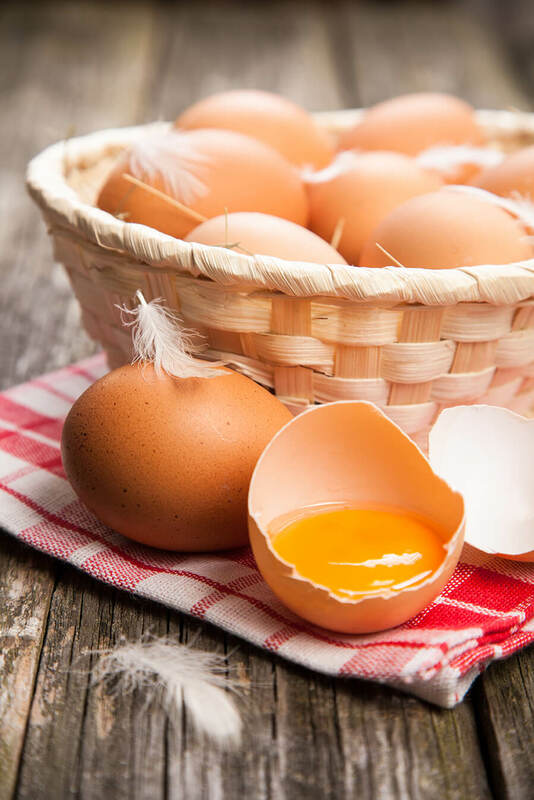 For all these reasons FARMHOUSE EGGS® are wholesome and great tasting. Offered in both large 12 and 18ct packs. Available at: Intermountain Walmart Stores. 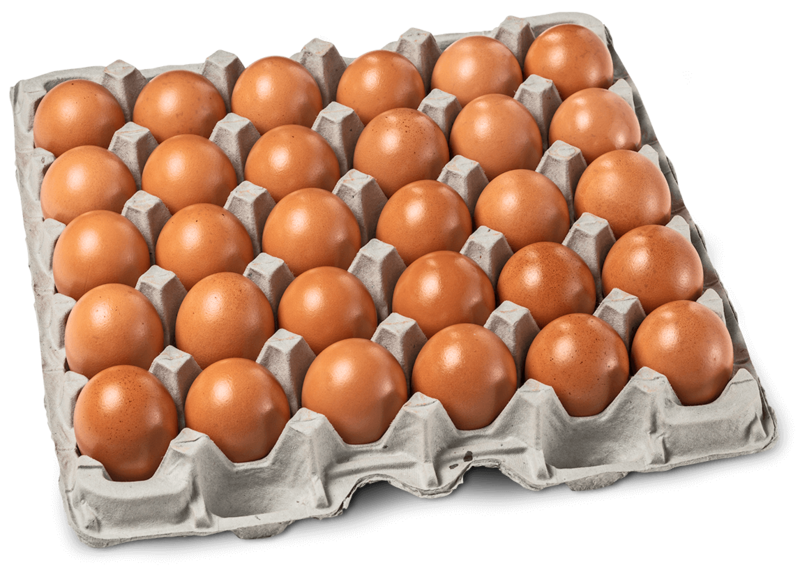 These eggs are produced by hens fed a nutritionally superior, all-vegetarian diet which results in an egg that is higher in important nutrients and has the best taste possible. They are not only great tasting, they are an excellent source of Vitamin D, Vitamin B12, and Vitamin E, a good source of Vitamin B 2 (Riboflavin), Vitamin B5 and Folate. 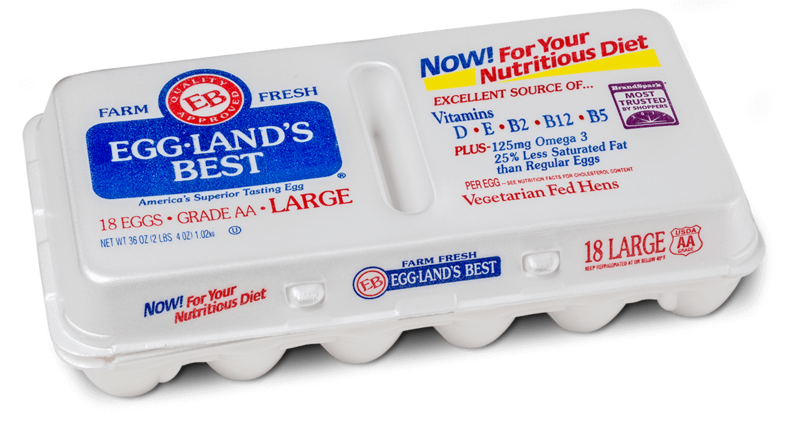 Plus, our EB eggs contain 115 mg of omega 3 fatty acids, 200 mcg of Lutein and have 25% less saturated fats than regular eggs. Offered in a variety of sizes, colors and packs including original, cage free and organic. Colorado Safeway, King Sooper’s, City Market, Albertsons Stores, Walmart Stores, Sam’s Club, Royal Crest Dairy, Sprouts Farmer’s Markets, Longmont Dairy Farm and select Colorado food service distributors. These eggs are produced by brown hens housed in our conventional barns and fed an all-vegetarian diet. Just like all of our hen diets, the feed contains no antibiotics, hormones*, animal fat or animal-by-products. Offered in large and extra large 12ct. Available at: King Soopers, City Market, Walmart Stores and select Albertsons Intermountain stores. 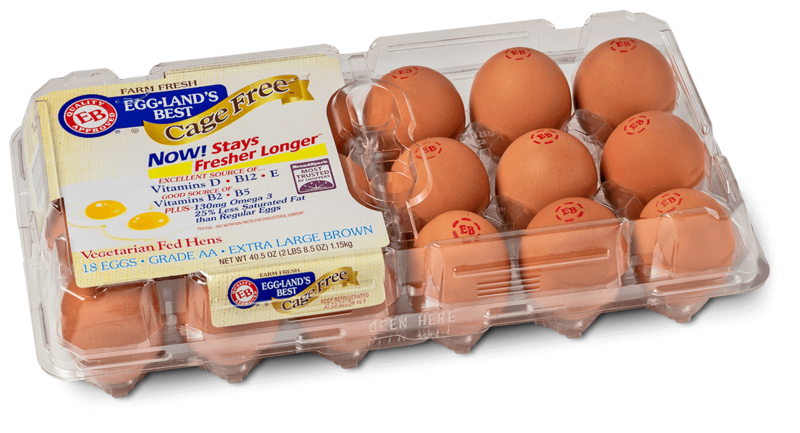 These egg are produced by our hens housed in our conventional or cage free barns and are distributed under our grocery and retail partners’ commodity or premium private label across the Western US. The hens are fed an all-vegetarian diet as well. 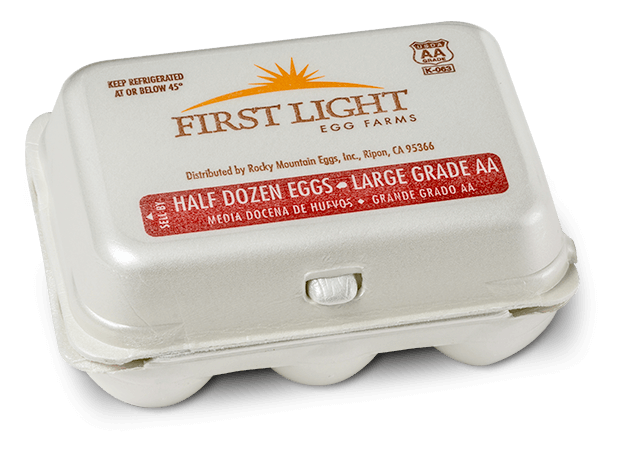 These eggs are also produced by our hens housed in any of our barns and distributed via various food service purveyors and sold to diners, quick serve restaurants, fine-dining establishments and schools throughout the Rockies.